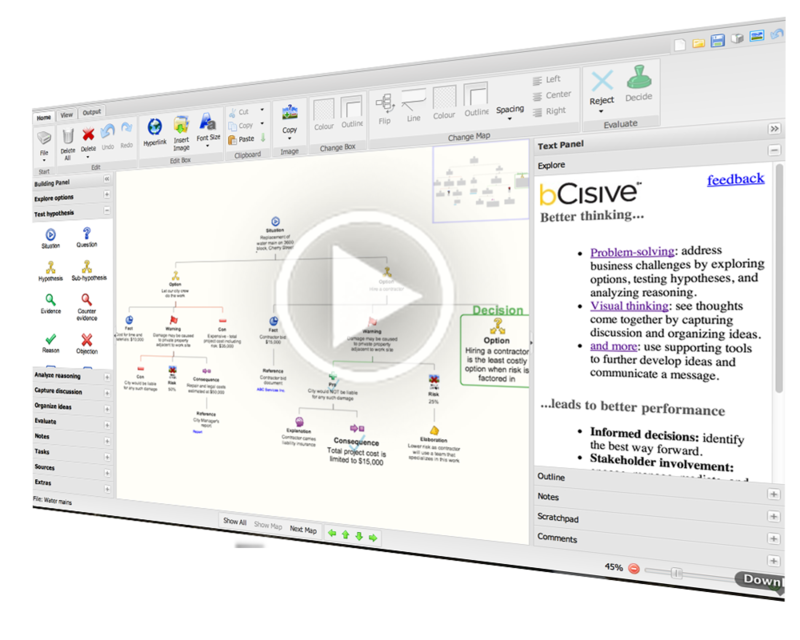 Looking for a great, web based, argument mapping tool? Have a look at RationaleOnline! You can find it here. Where is the tablet view? Welcome to the new bCisive blog! When you are a professor, lecturer or teacher, you can obtain an educational discount for yourself and your students. We also provide campus licenses.